Road Closure Ashmore Bridge Road! 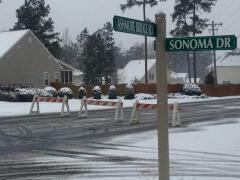 AVOID Ashmore Bridge Rd from Sonoma Drive to Fowler. The road is closed due to weather conditions, and severe driving conditions.